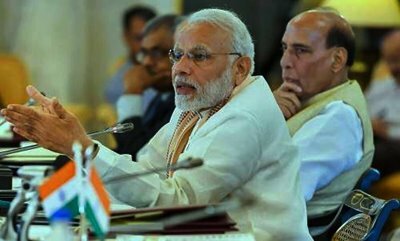 If you are a private sector professional above 40 years of age and with 15 years of work experience in any of the ten fields like economic affairs, civil aviation or commerce, the Narendra Modi government may hire you as a joint secretary. This “lateral entry” exercise is aimed at “bringing in fresh ideas and new approaches to governance and also to augment manpower”, says the government. The Centre has opened ten such positions for lateral entry in as many ministries and departments. The selected individuals will be given three-year contracts — extendable to five years based on performance — in key ministries and given the pay scale of a joint secretary which is from Rs 1.44 lakh to Rs 2.18 lakh per month, plus perks like government accommodation and vehicle. Individuals working in private sector companies, consultancy firms and international or multinational organisations are eligible to apply. There is a shortage of joint secretary-level officers at the Centre and a committee of secretaries, as well as the NITI Aayog, recommended lateral entry of professionals as joint secretaries to fill this gap. The post has been the domain of all-India service officers from the IAS, IRS, IPS and Income Tax Services. "The Government of India is looking for ten outstanding individuals with expertise in the areas of revenue, financial services, economic affairs, agriculture, cooperation & farmers’ welfare, road transport & highways, shipping, environment, forests and climate change, new & renewable energy, civil aviation and commerce. The Government of India invites talented and motivated Indian nationals willing to contribute towards nation-building to join the government at the level of joint secretary,” the government said in a note. Those who are interested need to apply online by July 30, 2018. Officers of any state or union territory administration who are already working at an equivalent level or eligible for appointment to an equivalent level in their cadre with relevant experience, are also eligible to apply for these posts. Individuals working at comparable levels in public sector undertakings, autonomous bodies, statutory organisations, universities and recognised research institutes with a minimum of 15-year experience can also apply. Such candidates shall be appointed on deputation (including short-term contract) with a lien in the parent department. For those joining from the private sector, the appointments will be on contract. “All appointees shall be deemed to be public servants for the purpose of the CCS (Conduct) Rules and such other statutes as notified by the government from time to time. The employment contract can be terminated by either side with a minimum notice period of three months. The shortlisted candidates will be called for a personal interaction with the selection committee,” the government said.